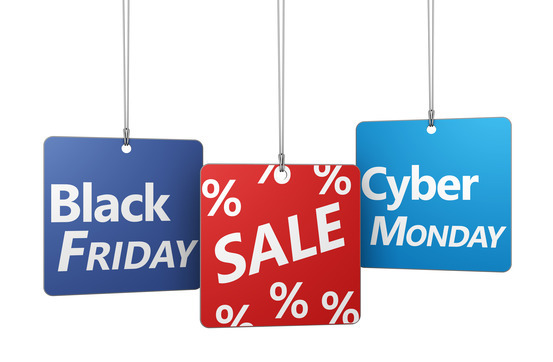 Black Friday and Cyber Monday are two exceptional days following Thanksgiving Day that every shopper looks forward to. Online marketers strive to make the highest sales on these occasions, offering the highest discount rates and the best terms of sales. We will here try to give you the early leaked deals to get the maximum of the holiday / festive sale. As the Holiday season has begin, and people have started looking for the best deals and offers. We here can help you to crack the Cyber weekend deals early before they start. So bookmark this and get the tech deal specially Computer Software, Hardware and Accessories like desktop, laptop, software and other useful gadgets which you can buy as tech gift. Grab them as the deal get start. A lot of excitement and chaos is usually witnessed on during the day, and quite understandably so, given the great opportunities. People who will be experiencing the occasion for the first time may tend to get scared because they don’t know what to expect. That should not be a reason for you to miss out on the best deals of the year. You only need a few tips on how to shop safely and wisely. Preparation is the main ingredient to a successful shopping on Black Friday. You should conduct an extensive research on the best deals before you go to the stores and make a list of all the items you intend to get. Ensure that most of the things in your list will be obtained from one store to avoid rushing from one store to the other. The research will also help you know the best prices and allow you to budget for your money wisely. By planning, you will not end up with items that are of no use to you simply because they were on sale. Planning should include a back-up plan for cases where an item may be sold out. You might opt to have one or two items that you would be willing to buy instead of the sold out item. The stores are usually so crowded, with everyone trying to get all their shopping done on that day. Leaving children at home with a sitter is probably a good idea. Take a buddy instead to help you spot and pick the items in the stores or brave the crowds alone. It is advisable to make a trip to the stores that you intend to visit, a few days before Black Friday. This will ensure that you are familiarised with the place, making the shopping experience easier for you. You can also ask for a copy of a map of the place as well as the ads, all of which you should bring with you. Ensure that you put on comfortable attire, including shoes, on the shopping day. Carrying some snacks and water may also come in handy, but avoid anything that you will not need, as they will only become a burden to handle. Accept and keep in mind that the place may be too crowded and that you might get a little nudged or jostled by some other eager shoppers. When that happens, just keep your calm and avoid confrontations. Simply focus on enjoying your shopping. Always buy from the trusted source only. Check the Lock Icon and Green bar on browser if you are going to enter your personal information or Credit Card information. Don’t Click links in the Emails as lot of phishing and Spam mails target you on these days. Use a Virtual Credit Card for E-Commerce Transaction if possible. The links given on the above deals are trusted and safe to buy As they are going directly to the Vendor website. In Year 2015 AVG starts early. Starting from 11/19/2015. Get flat 40% off on this Thanksgiving day , Black Friday and Cyber Monday. AVG Antivirus, Internet Security and Premium Security products. Click here for AVG Black Friday Deal 2015. AVG is a very popular Antivirus engine and is growing very rapidly. Could be a good choice if looking for a business solution or for home use. Save 50% with F-Secure Black Friday Deal – Internet Security for all devices. And enter the coupon Code : blackfridaysafe to get flat 50% discount. Note: the link will be get activated on 27th November 2015 and will be valid till 30th Nov 2015. Please bookmark and visit this link at the given time. This is a very short timed deal from ESET security. From 25 Nov 2015 to 26 Nov 2015. So hurry up and grab it fast before it ends.